Whether it's for preschool, Sunday school or simply an afternoon at home, creating a few ladybug crafts for kids is a great way to learn about one of nature's cutest bugs. Don't limit your imagination when it comes to creating these crafts. Ladybug projects can be big or small, easy or complex. Supplies can be drafted from a variety of household items or come from a prepackaged kit. Whichever route you choose to create your ladybug craft for kids, remember the end product will be the cutest bug on the block! Flat stones or river rocks are the perfect landscapes for painted ladybugs. These rocks are normally found in your backyard or at a local park. After you clean the rocks and allow them to completely air dry, use a good craft paint to create your ladybug -- or any other desired critter. 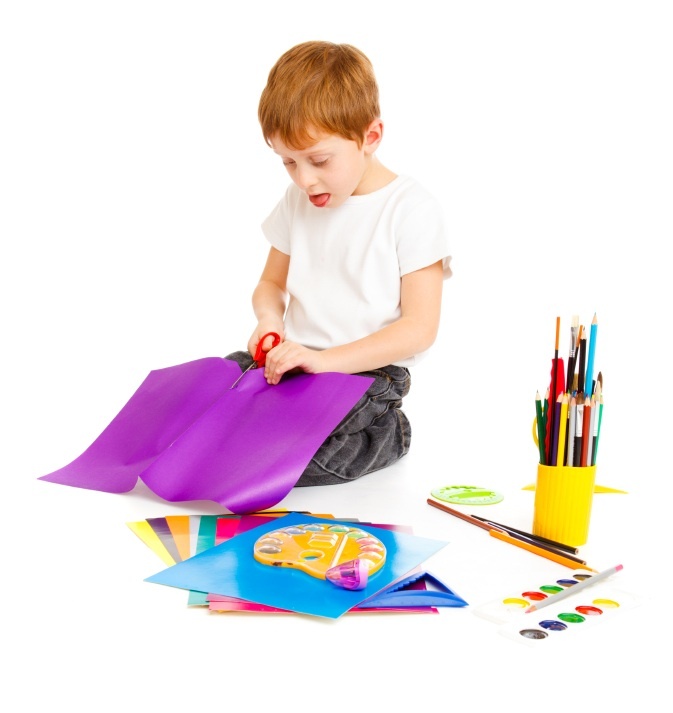 With small kids, it is best to used water-based paint; however, older children may benefit more from using acrylics. Teach your child to sew with this ladybug purse project. Follow any instructions you would use for a simple purse, but instead of regular fabric, use some that looks like grass. If your local fabric store does not carry this, use a vinyl tablecloth (available at party stores). For that special touch, add a few adhesive or beaded ladybugs, which can be found at any craft stores or online. Colored play dough can be easily manipulated by little hands to create this cute ladybug and green leaf. The little ones might needs help crafting the eyes and other smaller details. Older kids can make more lifelike ladybugs by using modeling clay. The kind of clay found at a craft or hobby store works best. Creative kids will really love this craft. Each bucket kit contains enough foam pieces to create 24 ladybugs. Paper, crayons, colored pencils and paint are all a child needs to craft the "perfect" ladybug! Craft or butcher paper is the way to go on this one, as the large size will allow your child to create an entire garden. Once the crafts are all done, spend some time baking and decorating some ladybug cookies. You simply can use round cookie or biscuit cutter and decorate with colored icing. Ladybug projects are only some of the fun things to do with your children. Check out this LTK article for more craft ideas.